It is the picture every photographer wanted to get. 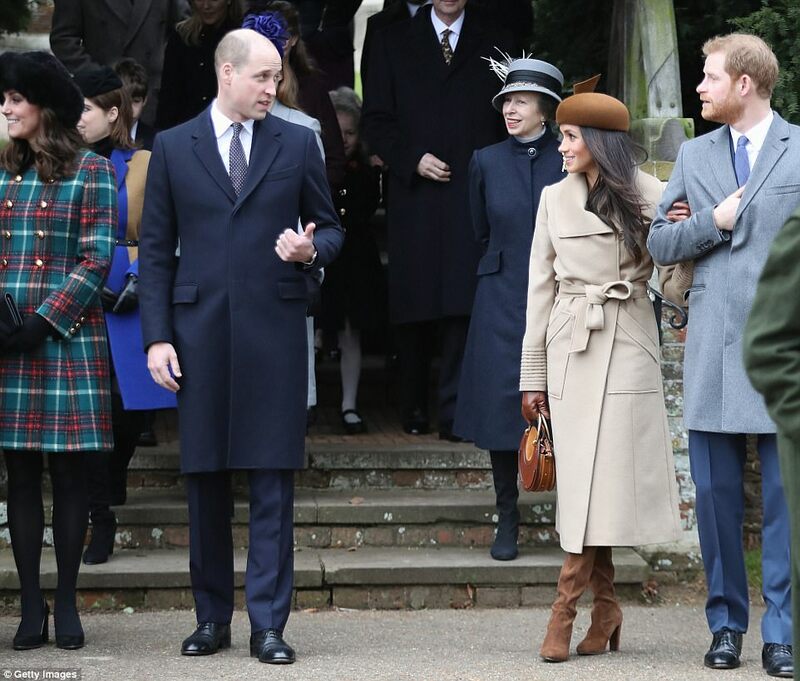 The Duke and Duchess of Cambridge, Prince Harry and his fiancée Meghan Markle were snapped beaming as they walked to St Mary Magdalene Church, on the Sandringham estate, for the Christmas Day service yesterday. 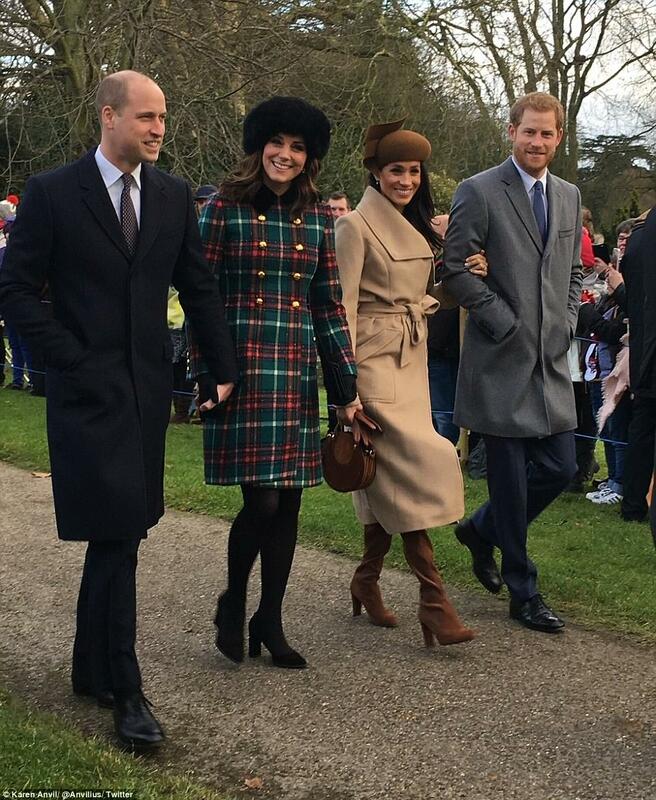 This candid photo of the royal 'fab four' has been shared thousands of times on social media and has appeared on websites and in newspapers around the world this morning. But the image was not taken by a professional photographer. 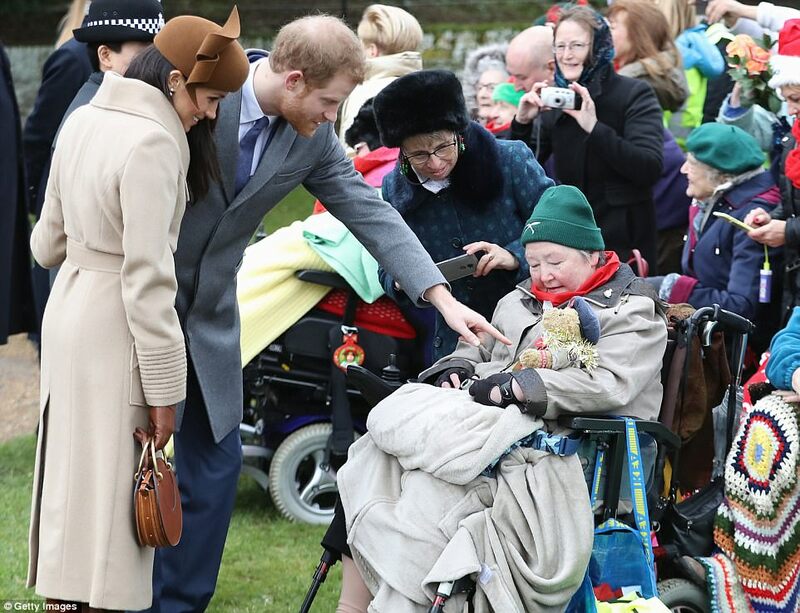 Instead it is the work of single mother Karen Anvil, 39, from Watlington, Norfolk, who was among the dozens of well-wishers who gathered to catch a glimpse of the royals yesterday morning. 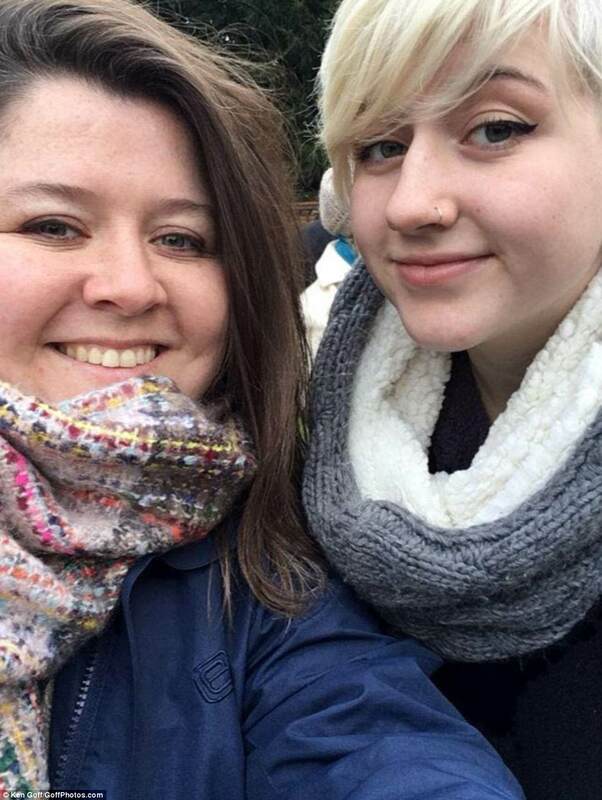 Ms Anvil described how she was able to grab the royals' attention by screaming like a 'fan-girl' and is now hoping the money she makes from it will help pay for 17-year-old daughter Rachel's university fees. Speaking to the BBC, she said: 'I'm just very bubbly by nature and I was with my daughter and I got a bit excitable, I suppose. 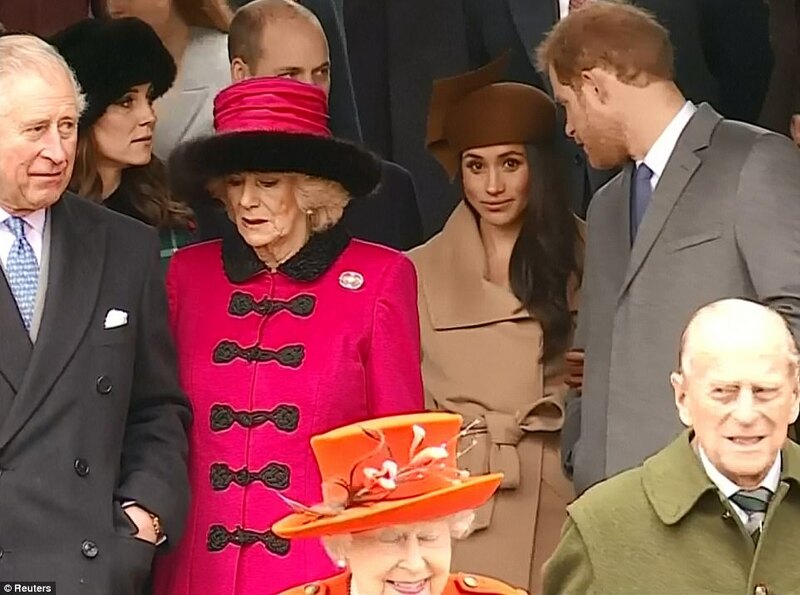 Ms Anvil and Rachel were among the supporters who braved the chilly temperatures to catch a glimpse of the senior royals on their way to church yesterday. The crowds are permitted to line the route while professional photographers are restricted in where they can go, giving Ms Anvil her excellent vantage point. She shared the image on Twitter yesterday morning and was shocked when it quickly swept the web. Ms Anvil explained that at first she allowed people to use the image for free before realising there was the potential to earn some money. Followers and other Twitter users started commenting on the picture, telling Ms Anvil she could charge for its use. Ms Anvil said she will put any money she earns towards paying for Rachel's education. She added: 'The thing is - and I hate to play the single mum card - I'm a single parent, I work two jobs, which I'm proud of and I've always worked. 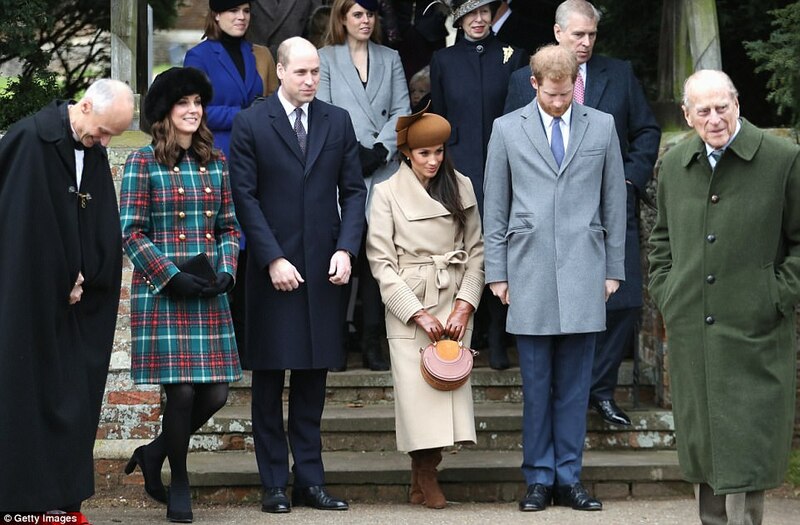 Meghan was elegant in a wide collar, camel wrap coat by Canadian luxury brand Sentaler as she made her appearance with the Royal Family on Christmas Day. Her coat tapered in around the waist and flared out at the hem for the St Mary Magdalene Church Christmas service. 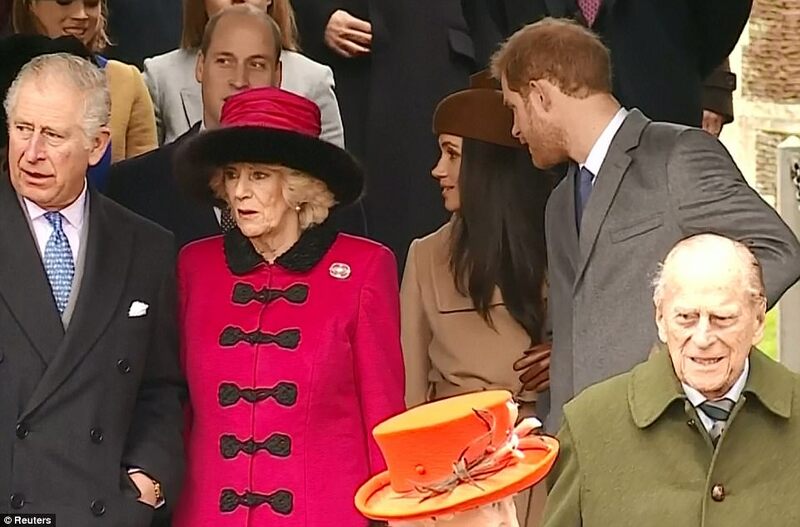 Meghan and the Queen met privately with Harry before their engagement was announced but had not been seen together by others until today. 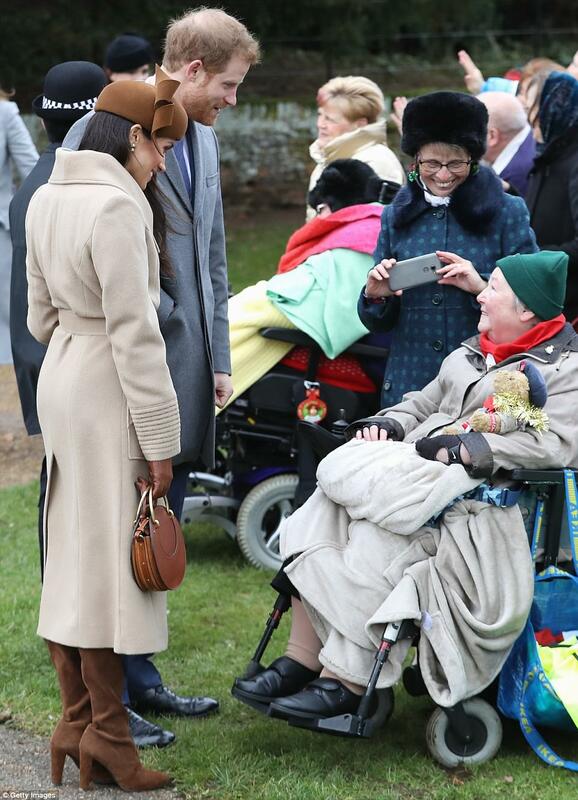 After her curtsy to the Queen, Harry led Meghan to a wheelchair-ridden well-wisher who had waited in the cold to wish the couple a Merry Christmas. 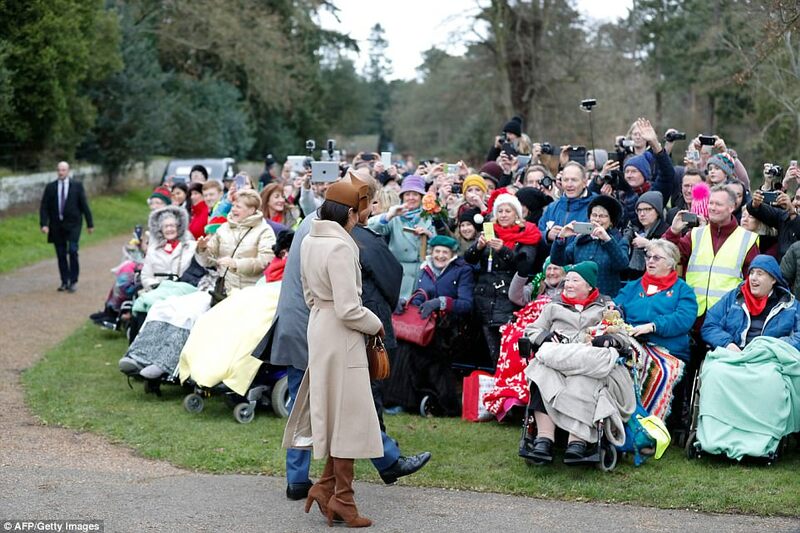 The pair then accepted bouquets from fans as they walked back to Sandringham House. 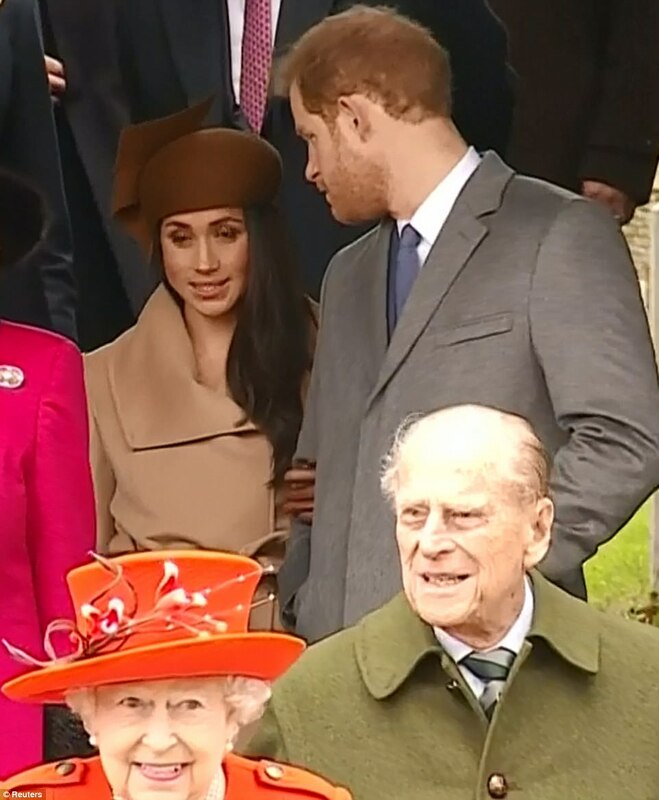 Meghan, with her first curtsy behind her and a day of formal festivities ahead, seemed to loosen up as she greeted and accepted gifts from well-wishers. Kate, who is pregnant with her third child and showed off a small baby bump beneath a striking £2,655 tartan Miu Miu coat. 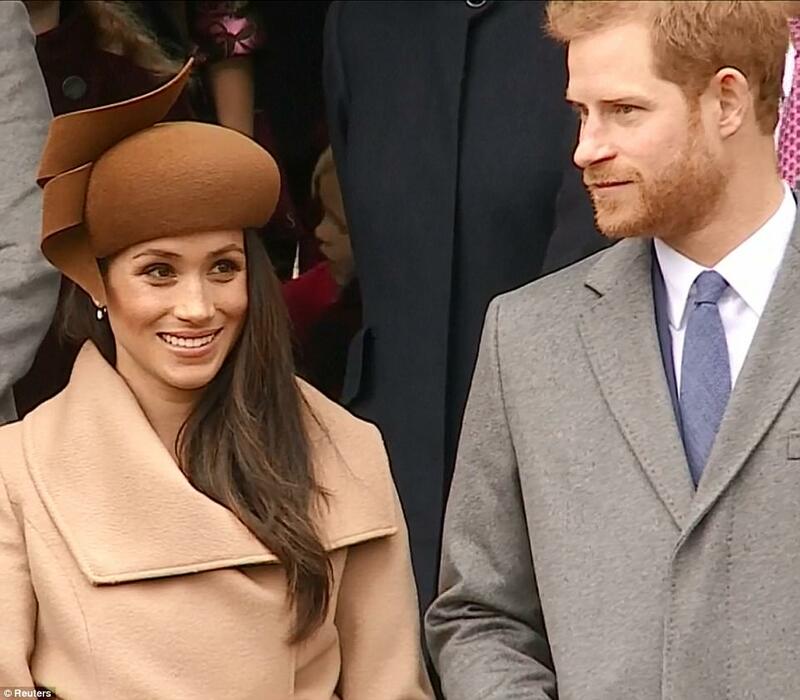 It is thought her brown hat may be a Jane Taylor piece, a milliner popular with Kate. 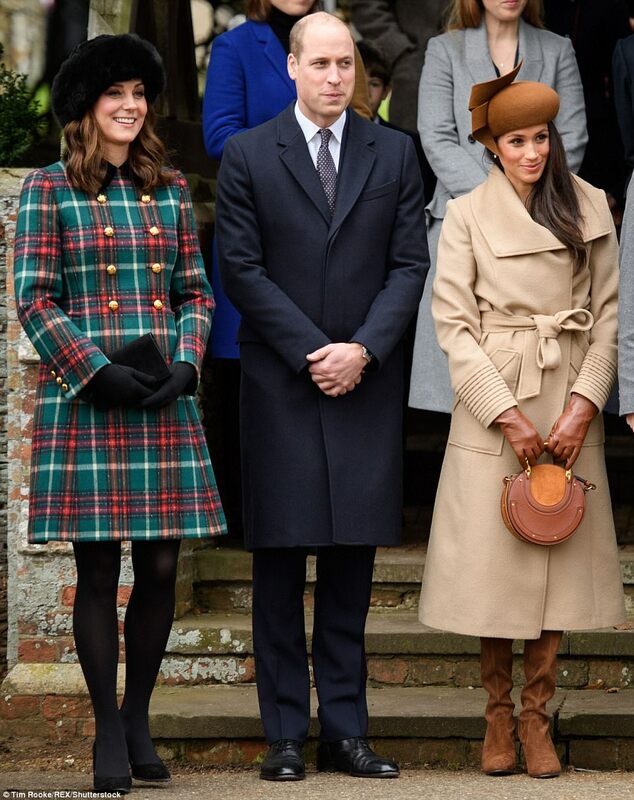 It is the first time Meghan and Kate have been pictured together since Meghan and Prince Harry revealed their impending nuptials.